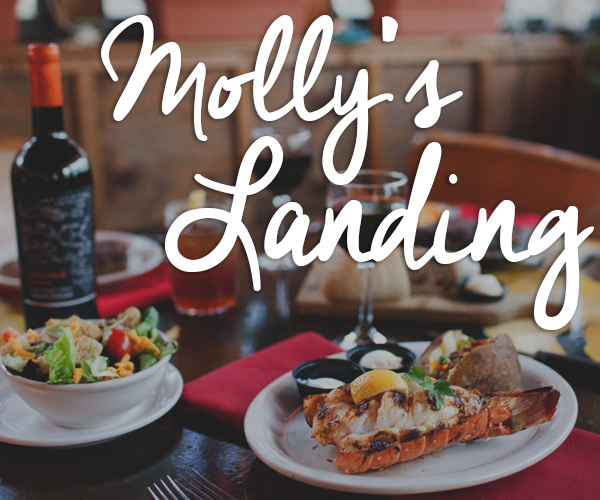 Though the original plan to use the hull of an old navy landing ship tank (or LST as they call it) didn’t make it off the concept board, the name, “Molly’s Landing” has defined traditional seafood and steak, exceptional value and personal fun for Tulsa area diners. 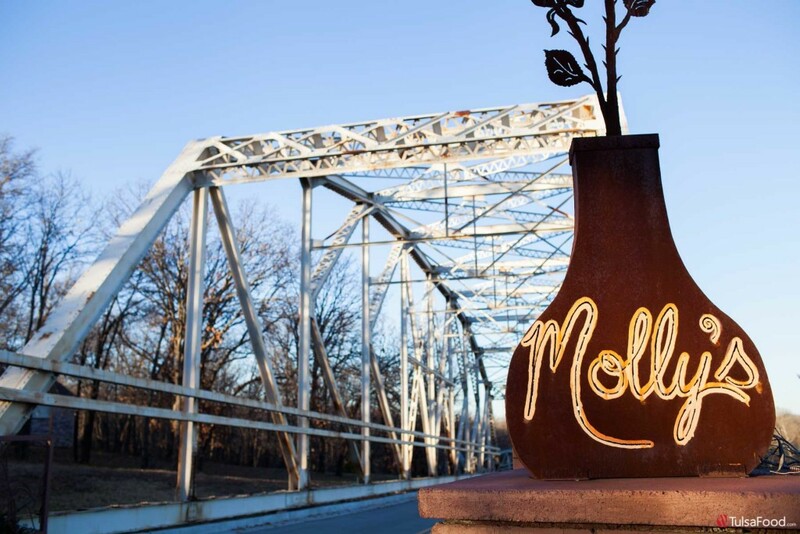 The spirit of a great transport carried me across the distinctive bridge out of my daily Tulsa weekday to the world of “Molly’s Landing”. 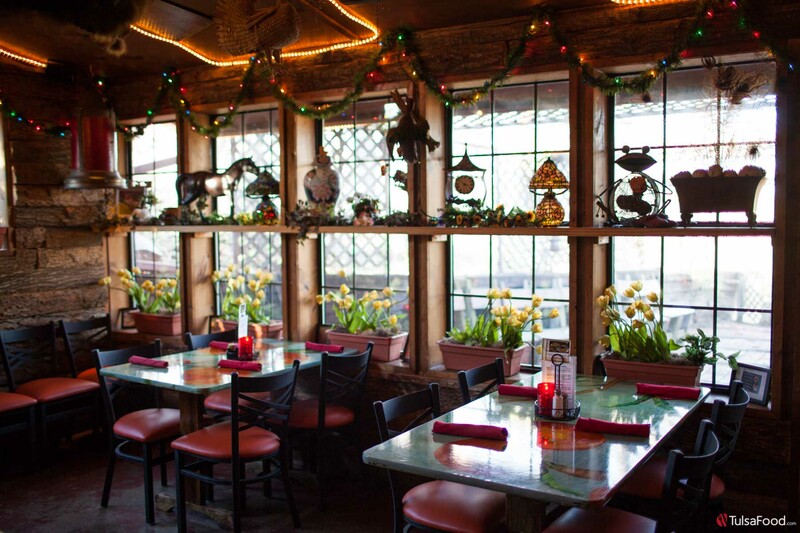 This dining oasis, owned and lovingly operated by Russ White, his brother Doug Powell, their mother Linda Powell along with Jerry Louellen, the restaurant encompasses a myriad of experiences, including the Chicken Coop Gift Shop, an herb/spice garden, fire pits for outdoor events, dining rooms that seat up to 40 people, even original art work created specifically for the restaurant by Linda Powell. 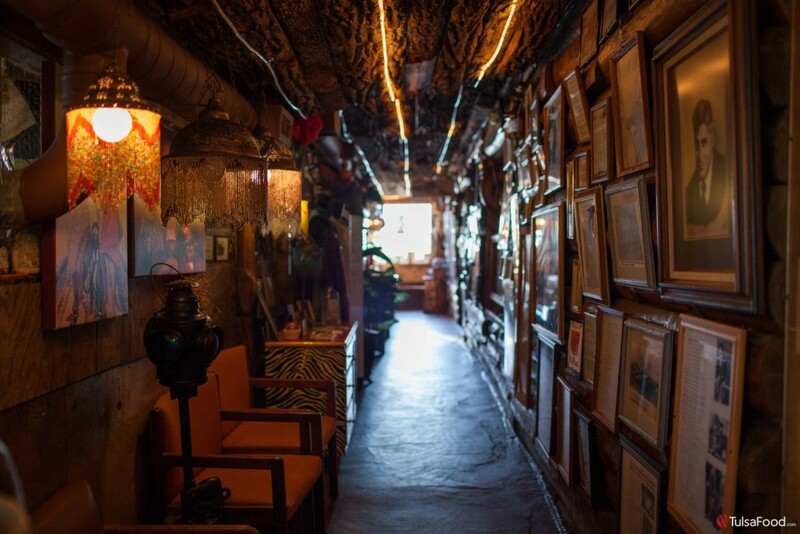 Her signature touch is evident throughout the restaurant in the colorful painted tables and portraits that adorn the walls. Perhaps most noteworthy is the commitment that the owners invest in their 34 member staff, some of which have stayed for more than ten years, a distinction honored by the owners with a one carat diamond. “We’re proud to say that we have given away 11 rings!” said Russ. The menu, delightfully bound with a hand-crafted, artisan design, is extensive with a complete wine list that offers tremendous values and selection, including several Oklahoma grown wines from Whispering Vines Vineyard. Imported and micro beers along with specialty drinks round out the bar menu. Other beverages are also featured including a coffee selection, hot apple cider and assorted juices, making this one of the most comprehensive drink menus I’ve seen. 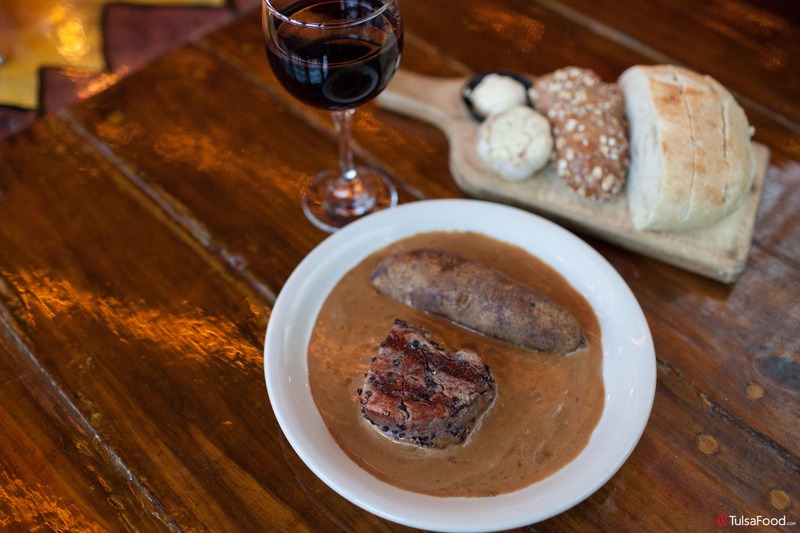 On my visit, I sampled the 4 ounce Peppered Filet and ½ baked potato, (or opt for rice instead) in a pool of Pepper Brandy Sauce. Flavorful and oh-so-tender, it’s completed with a side salad and house breads. 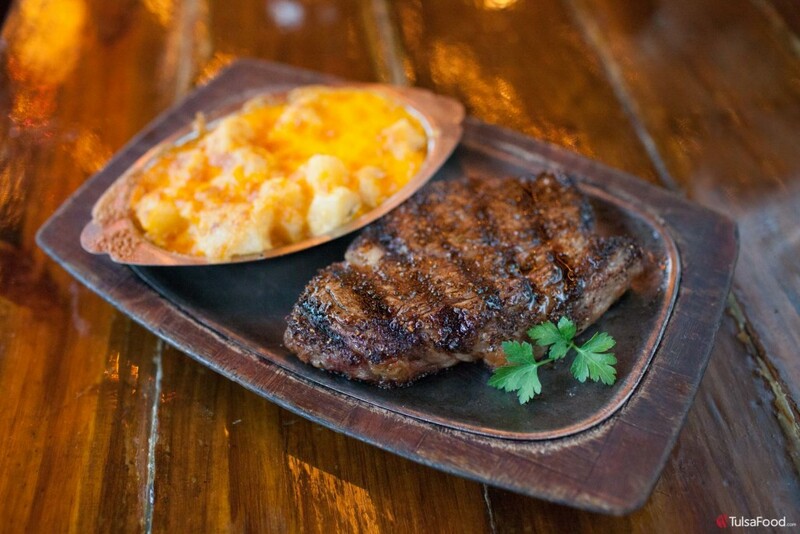 The Spicy 1872 Ribeye, smothered with spicy seasoning, made my favorite list. With seasonings reminiscent of the Chisholm Cattle Trail, this is one of the best steaks I’ve ever experienced – and one of the largest for the price. The Lobster Tail, a 10 – 12 ounce lobster tail with a baked potato, salad and dinner breads earns my “best value” designation. Deliciously prepared with savory garlic butter sauce, I’ve seen this entrée priced up to $60, yet it is an affordable $24.00 – everyday at Molly’s Landing. 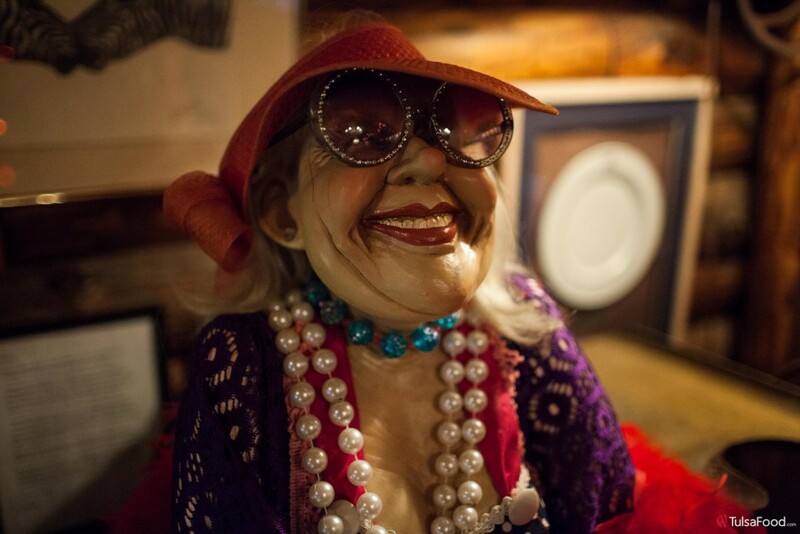 The casual, approachable ambiance of Molly’s Landing is the winning ingredient for an overall great dining experience. No white tablecloths or whispering here. 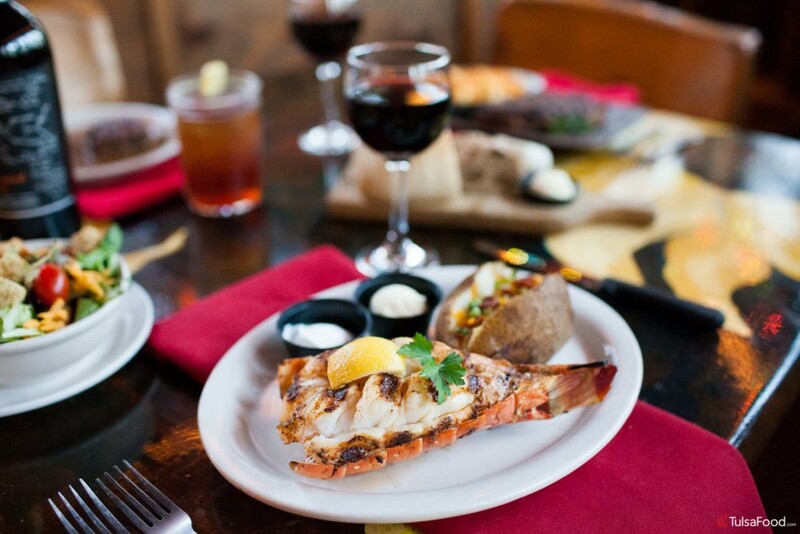 Instead, the tasty mix of a family owned restaurant, combined with a fierce dedication to detail, mixed with superior value and a comprehensive menu create a memorable dining experience for Tulsa-area diners for over 31 years. 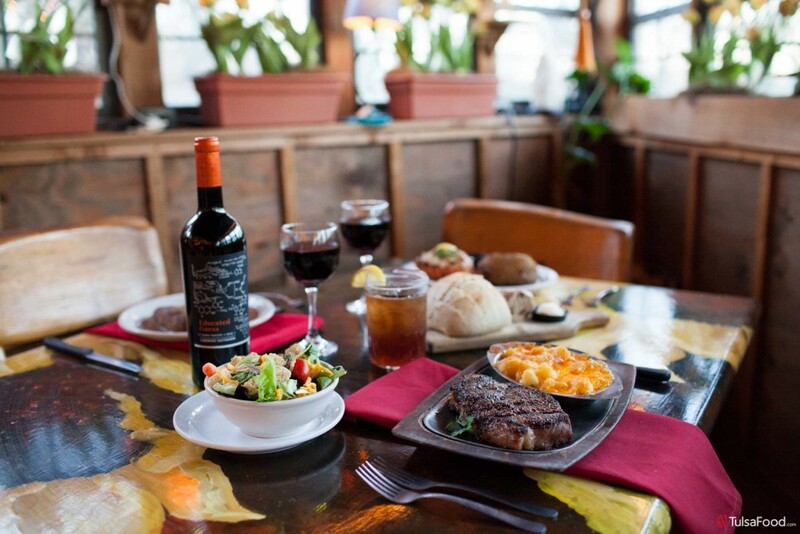 Molly’s Landing is a natural choice for a dinner date, business dinner, or for any special occasion. "The Novel Gardener", Maurie Traylor, lives, creates, writes, paints, gardens and cooks in Mid-Town Tulsa. Her work has appeared in Oklahoma Gardener, Edible Tulsa Magazine and The Tulsa Literary Review. When not writing or painting, Maurie works with clients in creating meaningful spaces for home and garden. Her inspiration for her creative life stems from her family, namely her grandmother, whose garden and kitchen fed migrant workers and a large family during The Great Depression. Following that example, Maurie begins each day with the question, "What can we create today?"